This annual report provides in-depth analysis and forecasts of the perishable reefer shipping market, covering key commodity flows, fleet capacity development for the two principle vessel modes, as well as detailed market analysis including freight rate development. Drewry provides extensive analyses on 10 main commodity classes totalling over 30 different commodities. The classes are; Bananas, Citrus, Deciduous, Exotics, Fish / Seafood, Meat / Poultry, Dairy, Pharma, Cut Flowers and Confectionary - as well as other commodities such as tomatoes, frozen potatoes and fresh & frozen vegetables. 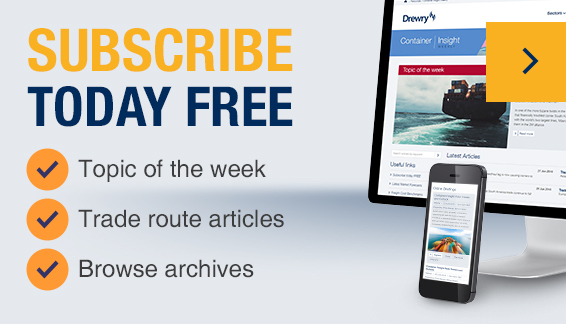 On the supply side Drewry has detailed coverage of both the container sector and specialised sector, with an emphasis on the former given that the vast majority of refrigerated seaborne cargo is now containerised.